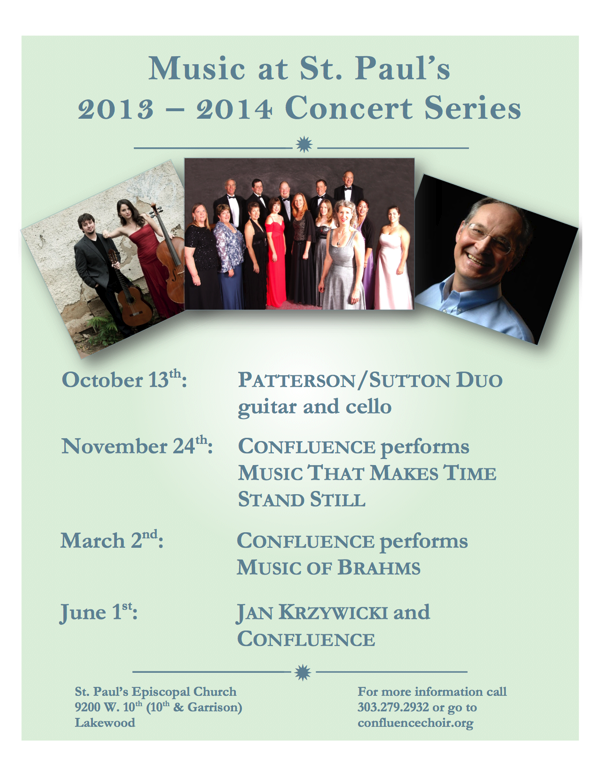 Confluence and St. Paul's Episcopal Church announce their 2013-2014 Concert Series. Season tickets are available now, but only until October 13 (the date of the first concert). For details, and to purchase your season tickets, call 303.279.2932 or use our contact form.